Plas long edges are pre-finished with a Beech edge tape (except for 8x4 sheets, which are unedged). Extra 22mm Bavarian Beech edging is available, for cut edges of 15mm or 18mm Bavarian Beech Plas. 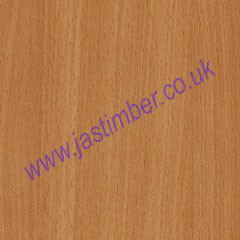 Other colours available in 15mm MFC Panel are: White Plas, Ivory/Sand Plas, American Oak Plas. Bleached Ash Plas, Ellmau Beech Plas, Golden Oak Plas (only 2800mm), Mainau Birch Plas, Maple Oak Plas, Montana Oak Plas, Pippy Oak Plas, Stilo Walnut Plas, Swiss Pear Plas and Tobacco Walnut Plas.